(*updated with moar sketches!) MMO screens / EU Online Tournament! 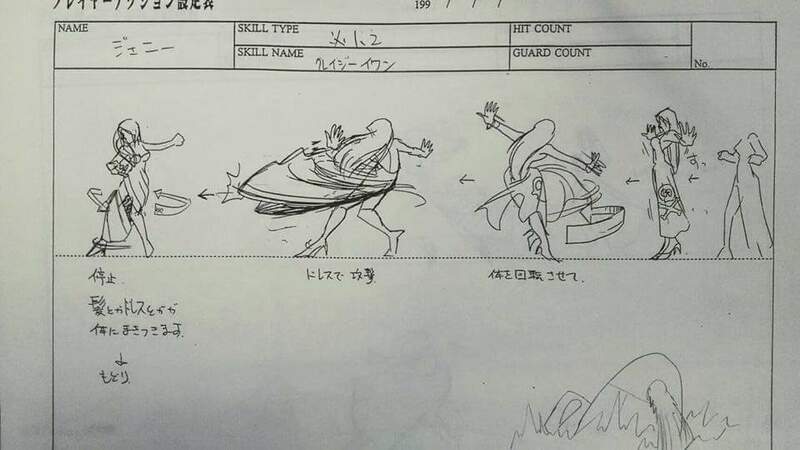 The KOFXIV producer has been sharing gems on his Facebook page from time to time and it’s fascinating to have a look at the creation process that goes into making a fighting game. Here we can see the first design for the Buster Wolf, which Nobuyuki then put into pixel form for Mark of the Wolves. 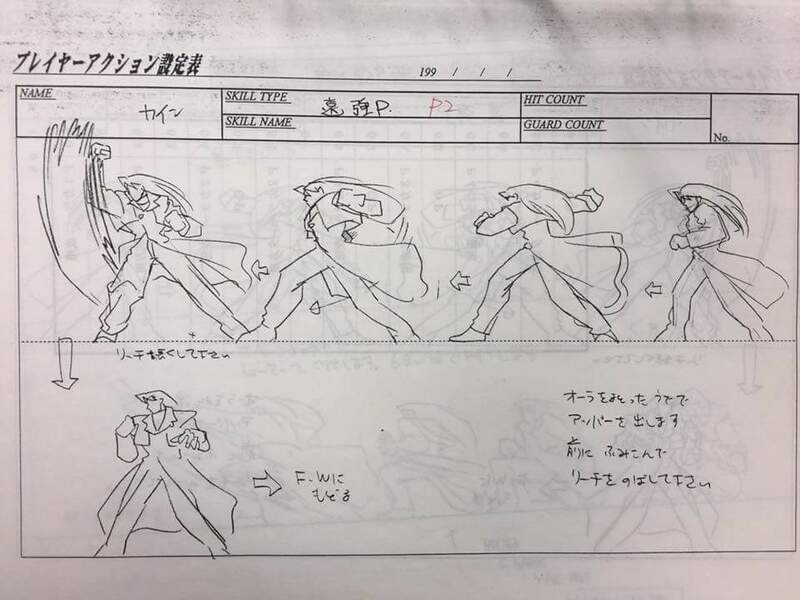 Also we can see B. Jenet’s Crazy Ivan and the profile for Kain. Oda drew this design for Xiangfei when he was in his twenties. 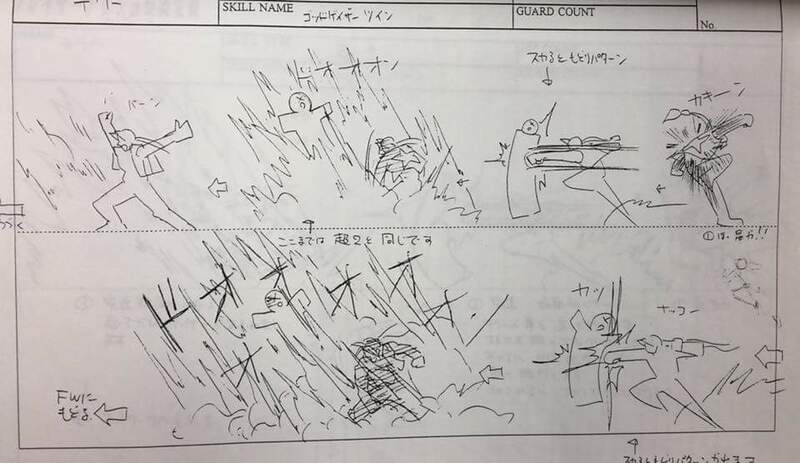 Here is the original design for Rock’s Rising Storm!!! Notice how it rotates around him. Oda-san will be at the JAEPO TAITO booth at the next arcade show. We wonder if there’ll be any new news to announce about the arcade version! Thanks again to Oda, follow him on Twitter and Facebook! The second event for Never Ending Opera features Tenrai, Cris, and an Mancunian invasion, with the best Verse you’ll probably ever see, with a great Dinosaur plus Antonov kicking the crap out of opponents. Yes it’s Inferno Kong, and if players want to know how to use these characters to their full potential, they really should check out his videos in the guide section. More champions lined up for the slug fest, so even if you get destroyed, you’re sure to level up your game. Enter Zantetsu, joining White Ash and Charlybeatz! More incoming!! We are now removing old designs and will be rolling out new ones and remixes for this year. If you see something you like, grab it before it’s gone. We did tell you! Info will be all up here, will only stream a few games, because it’s time to play!!! It’s looking hot, but who will have the time to play it? Check out the concept design for Chizuru, Ash and more!